Monopoly is back to arcades as a new video redemption from a partnership between ICE, PlayMechanix and Raw Thrills (the team behind the redemptions Doodle Jump Arcade, Deal Or No Deal, Frogger, Ice Age: Ice Breaker and Wheel of Fortune). In this carefully designed game, the player turns a small wheel to roll the dice and move his piece on the board. 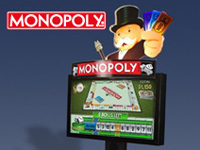 The goal is to collect hotels and reach the Monopoly and Broadwalk bonuses. Players turn the dial to roll the dice and move their piece on the board. The goal is to collect as many hotels as possible and reach the Monopoly and Broadwalk bonuses. The cabinet is equipped with a 42" LCD screen showing the progress of the game. A presentation video is available on YouTube. This game is distributed in Europe by Sega Amusements. No doubt this machine will be showcased at the Euro Attractions Show 2013 that will be held in Paris from 18 to 20 September. Persona 4 The Ultimate In Mayonaka Arena sequel is on location test at Hey Akihabara and at Taito Station Nihonbashi (Osaka) from today until August 21. 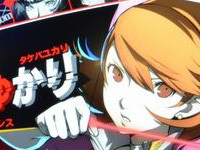 Two new characters from Persona 3 have been added: Yukari Takeba (which uses quick bow attacks) and Junpei Iori (which uses powerful attacks with a stick). All characters have two configuration types now: Normal and Shadow. Skills are different depending on the selected type and appearance of the character in Shadow mode is scary... The gameplay is more sophisticated and versatile than in the first episode. The old characters have new skills and their old ones have been revised. They have also a greater range in their movements. Ikagura needs no further introduction, this shoot'em up released in the early 2000 (2001 on NAOMI, 2002 on Dreamcast and 2003 on GameCube) was very appreciated by the players. 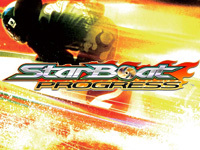 It was re-released through Xbox Live Arcade in 2008. 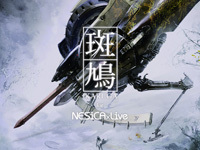 A new arcade version is out today: Ikaruga for NESiCaxLive. Treasure offers an HD version of the game but the screen is placed horizontally, (stripes are added on to each side) unlike NAOMI version that featured a vertically screen. This NESiCA version features 3 buttons instead of 2 buttons of NAOMI game. The third button triggers the laser shot directly. 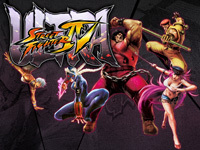 Three game modes are available: Arcade mode (classic), Chapter Select mode (with no continue) and Prototype mode in which the laser gauge is replaced by an ammunition counter. Once the counter drops to zero, it's necessary to absorb enemy fire to fill it again. There are three difficulty modes: Easay, Normal and Hard A ranking is available on the website of Ikaruga. When two people play together, the score is common, it is necessary for them to collaborate. 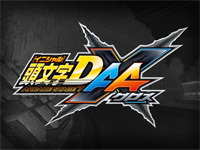 This Summer, Initial D is in the spotlight with the release of the manga's final volume in Japan, the announcement of the Final Stage and an animated movie for 2014 and an update of Initial D Arcade Stage 7 AA X. From today two new "complete cars" are available: the MazdaSpeed Roadster C-Spec and the Amuse S2000 GT1. Futhermore, the challenge is enhanced with the appearance of a new "X-Class" above the SSS rank. And finally, new accessories for avatars are available to get a "Summer" look! August events have also been announced. The "Eight-Five" & "Eight-Six" festival will be held on August 5 and 6 on Happogahara course. From 15 to 19, players will be able to get "Fastest & Strongest" title by participating in the "Irohazaka World Championship" and finally from 28 to 29, the 2nd "Complete Car Challenge" will be held in Akina. 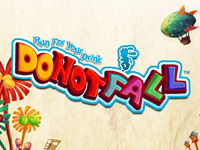 Do Not Fall - Run For Your Drink is a platform game released by Taiwanese company XPEC Entertainment on PC and PlayStation Store this year. The arcade version was released via NESiCAxLive yesterday. In this adventure game, the player plays Pipi, a rabbit who lives inside a drink vending machine. He must gather the ingredients to produce the beverages of the vending machine. But he has to walk on platforms that disappear after his passage. Many traps are also scattered through the levels. There are 7 available worlds but others can be unlocked as well as new characters. A multiplayer mode with mini-games for up to 4 players is also available. The most anticipated summer arcade game is released today in Japan. 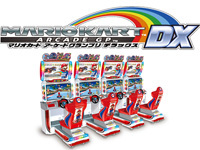 It's of course Mario Kart Arcade GP DX, the third episode of the series. This Bandai Namco title features the bases that made the success of the first two games but it also adds a lot of new features. First of all, two new game modes: Ghost Battle Mode and Team Co-op Mode. 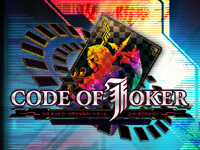 The first one is an online mode where players will be able to confront ghosts of other players from all over the country. In Team Co-op Mode, two players team against the CPU. They can merge their kart: one of the two drives and the other uses the attacks. Flying and diving karts are now available. Don-chan, one of the two Taiko No Tatsujin drums, joins the line-up of characters. A Taiko No Tatsujin themed track has also been added and ten of the existing courses have been redesigned. One hundred objects are already available and others will be added via updates. Note that there is no more Time Attack mode and it's not possible to use data from the old Mario Kart games. Watch the game trailer on our youtube channel. 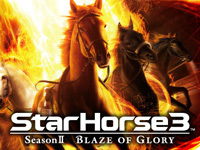 Star Horse 3 is very popular since its release in November 2011, its sequel is released today: Star Horse 3 Season II - Blaze of Glory. This update adds a new race program "European Triple Crown" and enhances the "Dart line". In Memorial Race mode, the player receives medals when he wins. With these medals, he can unlock special items and wallpapers. The new "Prime Cup" has been added: it takes place over a week and the final is simultaneously nationwide relayed! Players who use their Aime card or their Bana Passport will be able to recover some data from Star Horse 3 Season I.